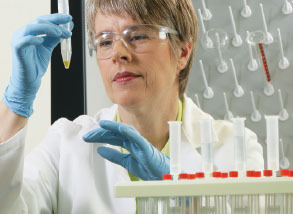 Put our latest innovations in ion, gas and liquid chromatography to work in your laboratory. We’ve focused on developing leading-edge workflow solutions - from sample preparation, chromatographic separation, seamless integration with mass spectrometry, and data management and analysis—to meet today’s ever increasing demands for analytical performance, productivity and ease of use. Sample preparation is a key step in analytical workflow. Our solutions include a multitude of consumables and automated platforms to enable fast, reproducible and easy sample preparation whatever your workflow requirements may be. Our portfolio includes a comprehensive selection of vials and closures, autosamplers and the Virtuoso vial identification system. Separate your science from the status quo. Whether you have just a few samples or a heavy workload, whether your analytical task is simple or challenging, we have a solution to match your performance and price requirements. From fully compliant routine analyses to totally flexible research workflows, or anything in between, Thermo Scientific™ Chromeleon™ Chromatography Data System (CDS) software simplifies the entire chromatography workflow, giving better results, faster.